This entry was posted on January 15, 2019, 08:05 and is filed under Arts and Crafts, Pets & Problems. You can follow any responses to this entry through RSS 2.0. You can leave a response, or trackback from your own site. I immediately saw this fabric as suiting. It’s a total fantasy, but how about dog coats with neat lapels and welts and a row of buttons somewhere, like a sleeve cuff? I know a few people who’d pay a tiny fortune for really stylish dogwear… The collar is chic; what the elegant country hound is wearing for daywear. 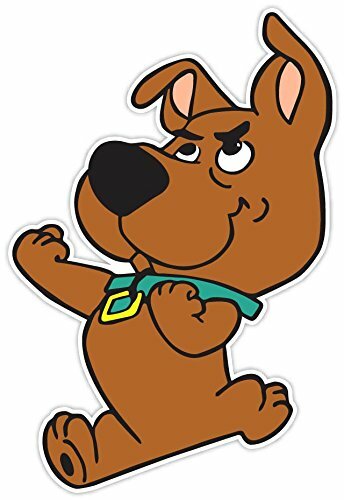 I like your fantasy but the reality is, even if I have enough of each fabric sample to make one dog coat, somebody would want to buy it who has a bigger (or smaller) dog and they wouldn’t like any of the other colours, etc. etc. Anyway, let’s see if I can manage neat lapels and welts on the coat I’m making for myself first. I did think about bow ties to attach to a matching collar with a press stud though. Now *that’s* a cute idea. I rather like Kate’s idea of dog coats with pizzazz! Knowing first hand how well made your collars are I feel sure they would be an instant hit with every stylish pooch. I’ll have to have a think about that. Stan is doing a stirling job there, and the collar is wonderful. Thanks Cathy – it’s very easy to get Stan to pose, I just hold one of his tennis balls aloft and he will stare at it for hours if necessary. I would be inclined to stop thinking about what to make to sell for dog home . . . and make a large cover for a dog bed, OR a patchworky thing to go in the boot/on seat of car for dogs to lie on. most definitely is, Lynn lol. in my dictionanry patchworky = larger project achieved by sewing small pièces of fabric together, not necessarily following any specific block pattern or layout. Especially useful when larger project is not destined for interior decoration but simply for canine companions to use while travelling in car. Great use of teh fabric for the dog collar! And Kate’s idea of dog coats is a wonderful idea. It is – and they’d all be ‘one-offs’ but I’m not sure there’s enough of each colour – unless I make patchwork ones of course. I love the collar! More ideas – bags – either for the outside or the inside as linings? 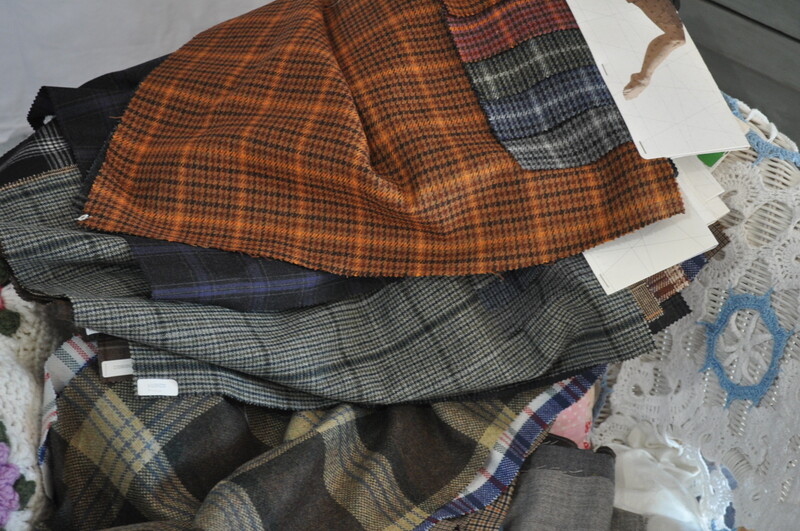 Mr. Tialys – who makes leather bags – has already eyed these up for linings! I like what you did with that dog collar, your dog looks very classy! The only idea I have is paper boy hats, you know those flat ones. They are coming back in fashion and those scraps might be enough. Have you Googled – ‘what to do with upholstery samples’? If you do you’ll probably disappear down a rabbit hole but I’m sure you’ll get lots of ideas and maybe even a way to get rid of the paper. I also like the idea of bow tie and patchwork dog bed! Wow, so many creative minds here! I think I might give the bow tie a go – there’s bound to be a tute on YouTube somewhere. I love the dog collar! Thank you Ellen – I make them to raise funds for a refuge for old and disabled dogs over here. That collar is very stylish, Stan is quite the looker in his GQ collar! He is a proper poser! Love what you made. How about a ‘man-bag’ or a car blanket. Maybe they could be mixed with some bright truquoise florals for a funky patchwork skirt or trousers. Red, hot pink and orange would go well with the blues and greys. I think some sort of bag making wouldn’t go amiss and, if I made a blanket out of them, it would seem appropriate that it be for a car as the fabric would have been for car seats originally. I’m not picturing myself in patchwork trousers though. Luckily these are only attached by staples to a card right at the top. The collar is marvellous – suitable for a town dog visiting the country… our rural mutts are just too uncouth for such elegance. I’m currently on a bag-making adventure, so I agree with Sandra that the fabric would look great to use for bags. Plus those little samples could then be used to make little pockets, either internally of as a bit of contrast externally. My husband is the bag maker in our house and he’s already assessed some of these for linings. I’ll have to move quickly if I want to use them. Credit to the photographer, the model AND the seamstress. Love that photo! 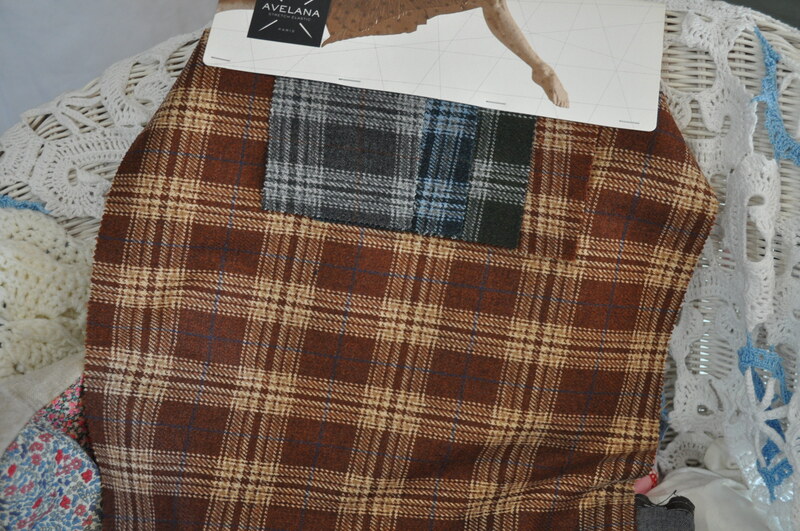 A guy I knew, who was a menswear buyer, used woolen samples from men’s suits to have a quilt made–it was very handsome but very heavy. 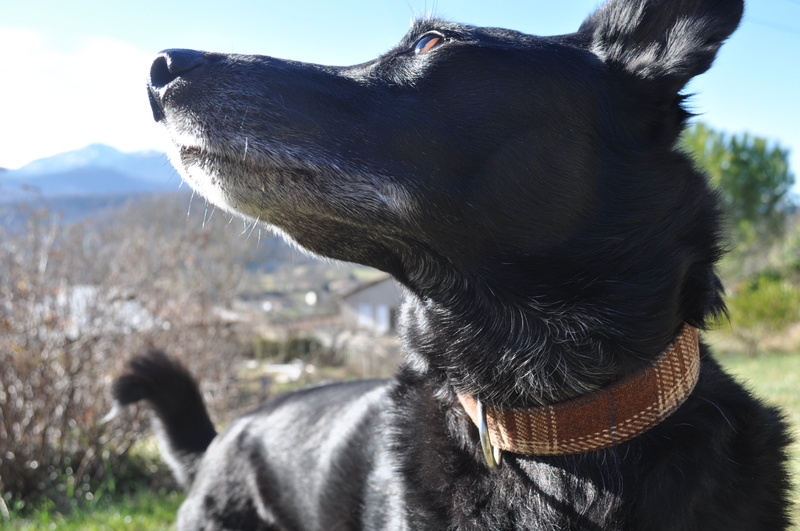 I think the dog collars are really a nice idea–and others here have provided more direction! You’ll be out of fabric in no time! Oh Stan, in your lord of the manor collar, what a handsome fellow you are. You have lots of ideas to be going on with, look forward to seeing what else you come up with. Its been added to my pile of ‘stuff to think about, mull over and hopefully do something with in the fullness of time’. Its quite a big pile. Stan looks magnificent! The country walks collar looks great – but I quite understand your comment about wanting a different size/colour. 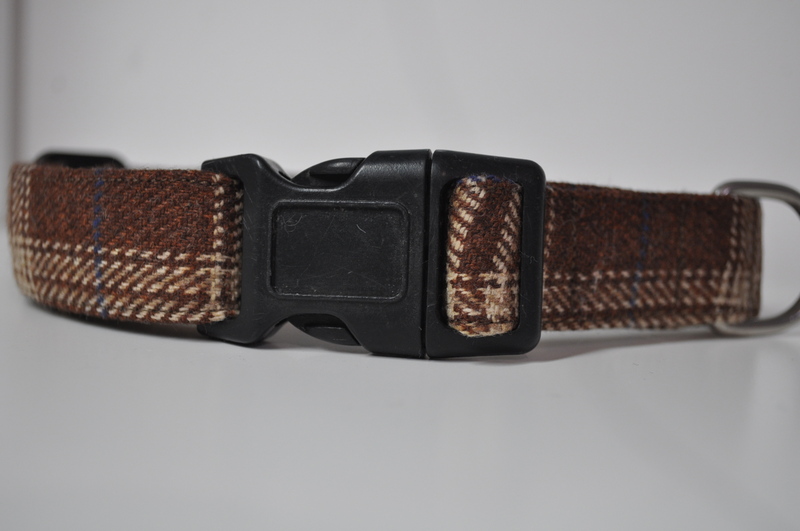 You might imagine that people would realise that if it was available it would be shown, but oh no……..
That’s a great use for it, and it looks very smart on your dog. While I think clothing might be an excellent choice, if you think the fabric is workable, I also think a quilt would work, though you might not want to put batting inside, because it could wind up very heavy then! Perhaps a flannel sheet? It could be tied and considered a utility quilt – who would worry about throwing that on the ground for a picnic? And it would last forever. Emergency quilts, if your electricity is likely to go out in the cold now and then, or to keep in the trunk for who knows what might happen? My husband’s in the process of making a leather bag with one of the samples as lining so, what with the collars, there’ll not be enough to make a blanket soon.